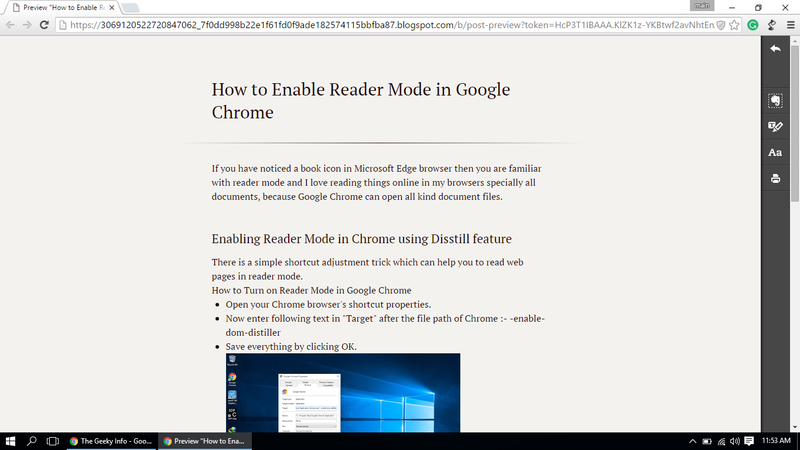 If you have noticed a book icon in Microsoft Edge browser then you are familiar with reader mode and I love reading things online in my browsers specially all documents, because Google Chrome can open all kind document files. There is a simple shortcut adjustment trick which can help you to read web pages in reader mode. Open your Chrome browser's shortcut properties. Save everything by clicking OK.
Now you will have to kill all process from task manager and open your browser again, killing all process means it requires to close Chrome completely including Google Drive, Hangout and Google Now from system tray. This Disstill feature is great for visiting spam sites and reading stuff, it also block auto play video. These days lot's of website are using autoplay video ads like about.com, nytimes etc. 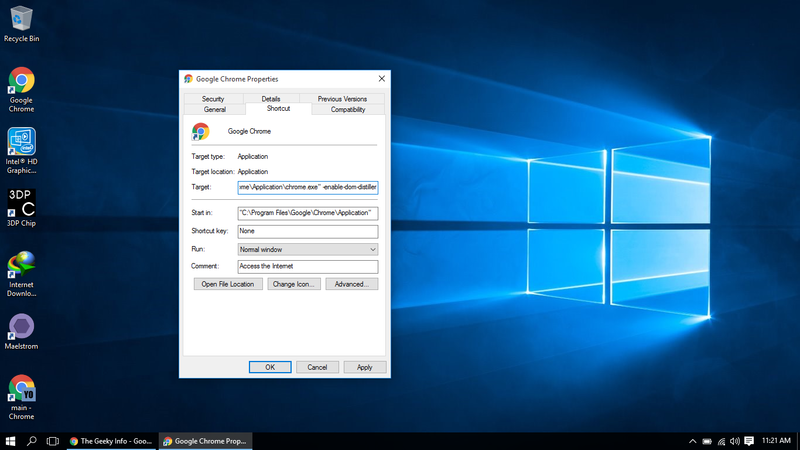 Google Chrome has a large collection of extensions and there is an extension for everything you want to do in Google Chrome. There are more than one reader extension but I prefer using different reader extension for different-different stuffs. Night Reading Mode is very useful while browsing the web in night, but it doesn't provide you a full reader mode. Read Mode by Menteslibes.org, is cool for reading lengthy stuffs, like stories, Wikis and sometimes big long forum posts. Clearly by evernote is best one which I will highly recommend to try because of a click of button will provide you a very great readinge experience along with features of Evernote.